I love pumpernickel bread and there seem to be a few ways to make it. Most recipes call for caraway seed but I'm not overly fond of it so I made it without. Pour water, oil, molasses, beaten eggs, sugar, and salt in mixing bowl and mix well. 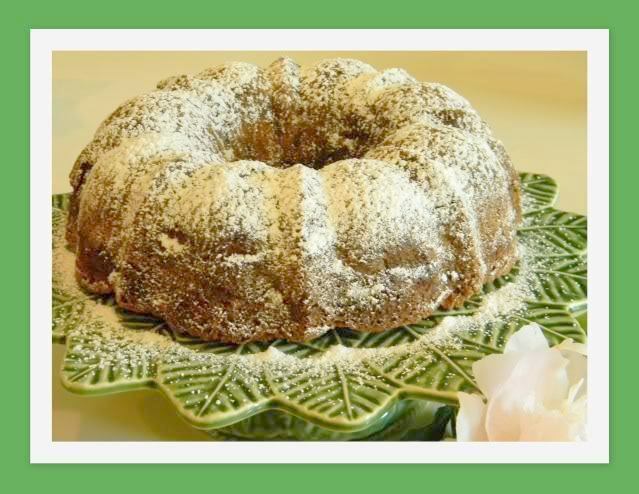 Stir in cocoa powder, caraway seed, whole wheat flour, rye flour, white flour, and yeast. Add white flour 1 cup at a time and knead till smooth and slightly sticky but not sticky enough to cling to the side of the bowl. Place dough in well greased bowl, cover and set in a warm place to rise. Allow to rise until doubled, 2 hours. Punch down dough and form into 2 round loaves and place them on a large greased cookie sheet. Let rise for 30 minutes and bake in a 375º oven for 35 minutes. If you want a chewier crust brush the bread with water the last 10 minutes of baking. I remember it used to be popular to serve spinach dip in a pumpernickel bread bowl at showers or parties. I hadn't had this in many years, it is every bit as good as I remembered. This dip is enough to fill 1 pumpernickel bread. Wash, chop and cook spinach, the only water you need for cooking are the drops of water on the leaves from washing. Cook just until it wilts and turns bright green, takes about 2 minutes, drain liquid. Whisk together mayonnaise, sour cream, and dry vegetable soup mix. Add spinach and stir until well blended. Before serving, cut the top off the pumpernickel bread and tear off bite size pieces out of the center of the bread to form a bowl. Pour spinach dip into the bread bowl, place bits of bread around the bowl and serve. Once those pieces are gone start in on the bowl, this one's edible. A Southern specialty, Chicken Perlo refers to a South Carolinian rice dish. Perlo is the low country pronunciation. Other parts of the United States call it rice pilau. I used my cast iron dutch oven to make this in. 1 cut up chicken fryer, skin removed. 4 slices of bacon cut into 1 inch pieces. Heat oil over medium-high heat in dutch oven or large fry pan. Add chicken pieces and cook about 10 minutes or until golden, turning once. Transfer chicken to plate. Reduce heat to medium and add bacon. Cook for approx. 4 minutes until browned. Remove bacon and discard all but 2 teaspoons bacon fat from pan. Add onion and green pepper to the same pan and cook, covered, for 10 minutes, stirring occasionally. Add rice and stir until evenly coated. Stir in bacon, salt, pepper, wine and chicken broth. Return chicken to the same pan or dutch oven. Heat to boiling over medium-high heat. Reduce heat to medium-low and cook, covered for 40 minutes or until rice is soft and chicken is thoroughly cooked. You can enjoy this as a one dish meal or serve it with a nice salad and warm bread. This is a Chicken Caesar with a rustic Italian appeal. We had one similar in Montreal at a wonderful sandwich shop and I was so impressed with the presentation that I thought I'd try to duplicate it at home. and then assemble the salad just before serving. I served it with stuffed mushrooms on the side for a light supper. 5 slices bacon cut into 1 inch pieces, fried crisp and drained on paper towel. To make the croutons: Cut bread into 1 inch cubes. Combine melted butter with seasonings in a small bowl. Pour butter over bread cubes and toss until evenly coated. Sprinkle with Parmesan cheese and toss again. Spread in a single layer on a large baking pan. Bake at 300º for about 30 minutes or until dry and crisp stirring occasionally. To make the dressing: Combine all ingredients except olive oil and sour cream in a quart jar or deep bowl. Gradually add oil, whisking constantly until dressing is smooth. Add sour cream to the jar and whisk until smooth. Wash romaine leaves, spin dry in salad spinner or blot dry with towels. Tear romaine into bite sized pieces into a large bowl. Just before serving, add 1/2 the dressing to the romaine and toss, adding more dressing if needed. Add only enough dressing to moisten the romaine. Too much dressing produces a soggy salad. Add chicken slices, bacon pieces and croutons and gently toss again. Pile salad high on individual serving plates. Using a potato peeler, shave about 6 2-inch strips of Parmesan cheese on top of each salad and serve immediately. 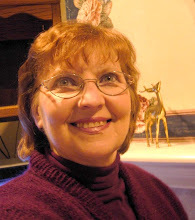 When I first got a microwave oven (a very long time ago)...I took a microwave cooking class. This was one of the dishes that we prepared in that class...and has remained a favorite throughout the years. It's a great side-dish in the summertime, when we prefer not to heat up the oven. 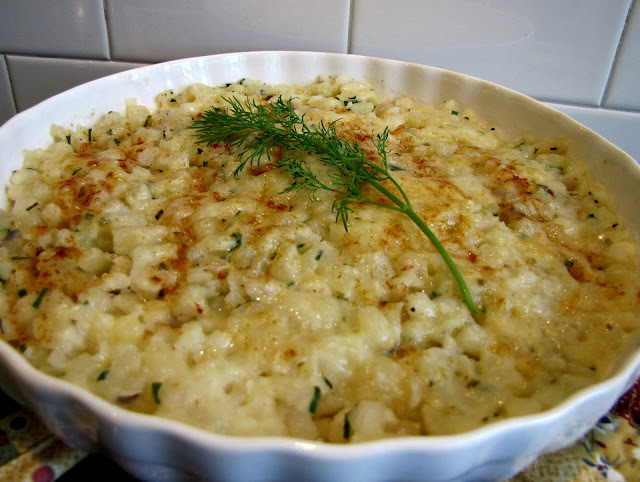 But I make it any time of the year...a creamy, potato dish that goes perfectly with grilled meats and a salad. Microwave hash browns in covered casserole for 9 minutes on high. Add cream, salt and chives. Mix with a fork. Cut butter into pieces and place on potatoes. Microwave uncovered for 6 minutes, or until boiling. Stir mixture and spread evenly in baking dish. Microwave with 1/2 power, uncovered for about 9 minutes, or until tender. *Either cubed or shredded hashbrowns can be used, but we prefer them shredded for this dish. Since our trip to Montreal recently I've been thinking a lot about fountains. Watching the fountains on one of the plazas there, the water seemed alive as it danced up from the pavement. Just as water is necessary for life and growth, so Christ, as the source of living water is necessary to Christian life and growth. Psalm 36: 7-9 says "How precious is Your loving kindness, O God! In Your light we see light." When we accept Christ into our lives that inexhaustible source of living water is poured into us. But it shouldn't stay there. It should overflow from our life to others so that they too can have life and growth. Does the Stream of Living Waters overflow freely from you into the lives of those around you? Summer has arrived. Did you say we had four warm days? Nevertheless, it's officially summer now and by now the barbecue season should be in full force. I'm going to share with you one of our family's favorite chicken recipes. I always find it interesting how my own kids say, "Mom, why don't you post that honey garlic chicken recipe?" And I'm thinking, 'that recipe is so old...' but we all know that some of those recipes simply take priority on a hot sizzling summer day. 4 fresh chicken breasts with skin and bone-in, or back attached. Heat butter on low heat, till melted, adding sugar, honey, soya sauce, and garlic. Bring to a slow boil. Don't overcook because it will caramelize. 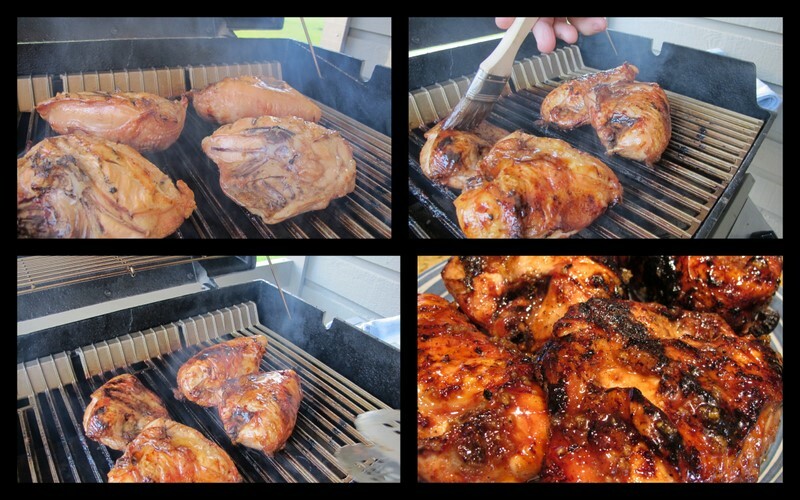 Lay the chicken on the grill on low heat. Baste chicken with sauce frequently, until the crust is a light charcoal color. I'm sure by now your mouths are watering. Even if it's not a hot sizzling summer day, you can just pretend that it's hot and hold your umbrella in the rain while you enjoy your favorite chicken dish. tossed with a creamy dressing and served over a bed of baby spinach. or for taking along on your next picnic. 3-4 cups of fresh baby spinach. I like to use this as a 'bed' for the salad when serving it, but you can mix it right into the salad. Boil tortellini according to directions on package. Remove from heat and immediately pour very cold water over. This will stop them from cooking longer and also cool them off quickly to add to the vegetables. Place cut up broccoli and asparagus in a sauce pan with a little bit of water. Bring to a boil and immediately turn off. Drain, and run cold water over vegetables. This will keep them crisp. Cut and place all other vegetables in a large plastic bowl and add cooled steamed vegetables and cooled tortellini. Put lid on bowl and give a good shake to mix. Whisk or blend together dressing ingredients. Pour 3/4 of the dressing over salad, and refrigerate for 1-2 hours. When ready to serve lay a bed of fresh baby spinach leaves on a platter and top with marinaded salad. If the salad has absorbed the dressing, add the remaining and toss, or serve remaining dressing on the side. This is about the easiest loaf of bread you can make. It involves no yeast or kneading . . . it's quick and a healthy choice, with a nice crunchy, rustic looking crust. Tastes wonderful while still warm, with your favorite topping. Preheat oven to 375° F. and grease one 4 1/2" x 8 1/2 " bread pan. Measure all dry ingredients into large mixing bowl and mix thoroughly. Make a well in the center and add 2 cups buttermilk all at once. Stir to mix. All dry ingredients should be mixed in just so that mixture is slack but not mushy wet. If you need more liquids add a tad more buttermilk. 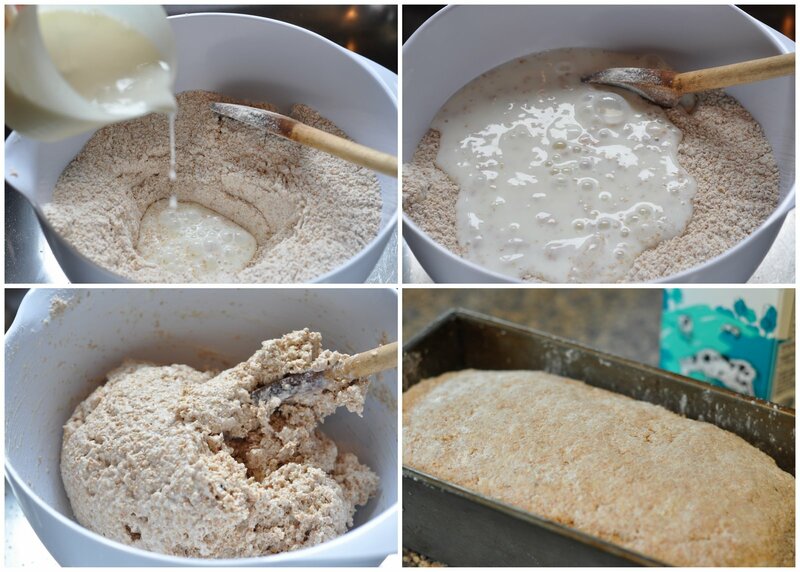 Add a light dusting of flour and shape into loaf. Lay or press into pan. Bake at 375° F for 50 minutes, until browned nicely. Run a knife around the edge and transfer to cooling rack. The crust is hard when you first take it out of the oven, but softens as it cools. Wheat germ, oat bran and wheat bran are found in the same section as the flour or in the cereal aisle with the oatmeal. For longer lasting freshness, freeze all unused wheat germ, bran and ww flour. 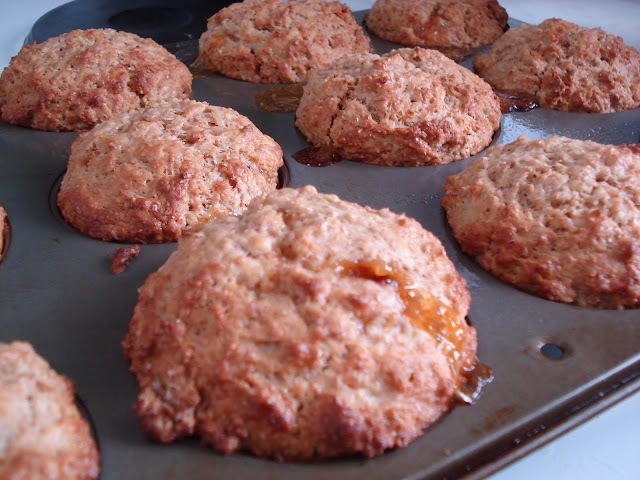 You can substitute oat bran for wheat bran, white flour for whole wheat flour. Try to use real buttermilk. If you cannot get it, try a mixture of half milk and half plain yogurt. Slice and freeze any leftover bread within 24 hours, for sandwiches or toasting. 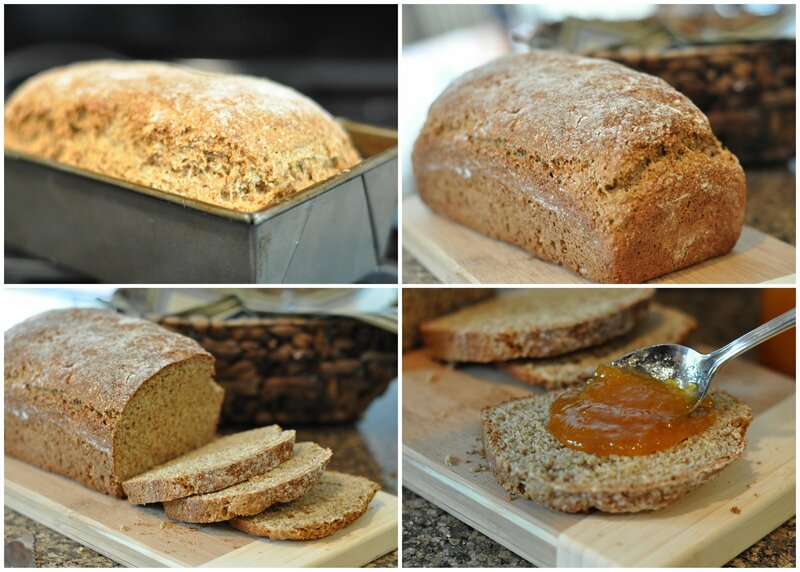 Homemade bread does not have the same shelf life as store bought bread. This pretzel based dessert with an orange filling is delicious and simple to make. After the first bite my g'daughter said 'this is so good'. Crush pretzels in the food processor, add sugar, and melted butter and pulse till combined. If you don't have a food processor crush pretzels with a rolling pin, then add sugar and melted butter and stir till combined. Pat crust into an 8" baking pan and bake in a 400º oven for 10 minutes. 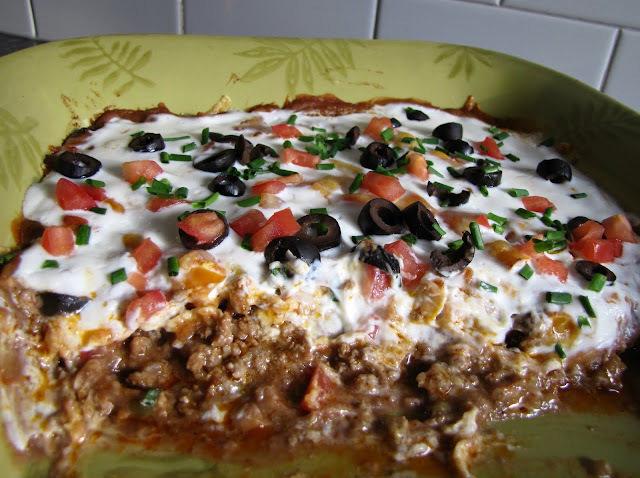 Combine the filling ingredients (minus sour cream) in a large microwave safe bowl and whisk until smooth. Microwave on high till it thickens, stirring frequently. Takes approximately 7 minutes. Cover with plastic wrap and refrigerate until cool. Once cool fold in sour cream and pour filling into crust. Cover and chill for at least 4 hours before serving. To serve top with whipped cream and decorate as you wish. Sprinkled with a little grated orange peel adds a nice tangy flavor. Cherry tomatoes will soon be ripe on the vine and in the meantime, I have been buying the little cartons of grape tomatoes in the produce section. Pairing them with mini Bella mushrooms makes a delicious beginning to a quick pasta dish. You could do this completely vegetarian but I like to fry some boneless chicken breasts in the pan first to add flavor to the sauce. Line a cookie sheet with foil. I don't use parchment paper here because I don't' want to waste any of the juices that eventually seep through the paper. ..but not the foil. Toss together with the balsamic vinegar and olive oil. Spread the veggies in a single layer over the cookies sheet and sprinkle with the salt, pepper and crushed red pepper. Roast about 40 minutes or until the juices have been released and the veggies are beginning to caramelize. While the veggies are roasting. . . preheat a large skillet on medium-high heat and add the oil and the chicken. Brown on both sides and then cover leaving the lid tilted over the pan so that you don't steam the chicken but still keep the heat in. Heat the water for your pasta and cook it while you finish your sauce. Reserve one cup of pasta water. Turn the heat to medium and cook the breasts through. Remove to a plate and keep warm in the oven. Add the cream to the pan to deglaze it. Stir for a minute to scrape the bits off. Add the veggies and the juices from the cookie sheet into the large skillet. Add the reserved pasta water to the skillet. When the pasta is al dente. .drain it. Add the spinach and the herbs to the pan and stir one minute until it wilts. Serve the veggies and chicken over the pasta and grate fresh Parmesan cheese over the dish. The love of parents is the closest we can come to understanding the heart of God. May your Father's Day be blessed! it was because there was no room in the inn ! Last one 'to bed' sleeps outside the wing!! and travel to far off places. I'm sure you, like me, at the end of a long day's travel have looked for a place to stop for the night and found only "No Vacancy" signs. It is a discouraging feeling to know there is no room in the inn for you to rest. that the 'Inn' is always full by the time you get there. I want you to know ..
that God the Perfect Father is welcoming to all who wish to come . no one need sleep outside the door. He will always hear and answer. whatever you have need of He offers to you! He will lead you in the way that you should go! "My sheep (ducklings) hear My voice, and I know them, and they follow Me." 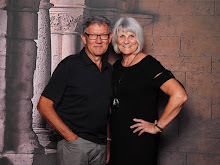 Amanda Barkey, from Costa Mesa, California, kindly sent me a recipe for muffins that she had adapted from a Martha Stewart recipe for "Healthy Morning Muffins"
Her recipe sounded wonderful and I specially liked that she said it was very 'changeable- friendly'. 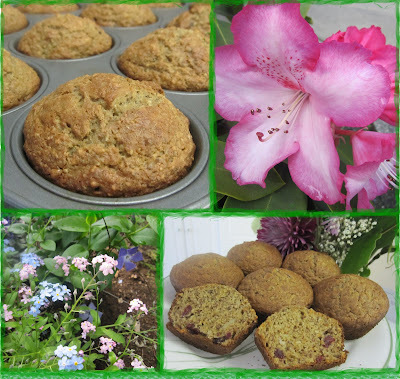 Since I was eager to try her recipe and didn't have all the same ingredients I substituted with what I had .... and the resulting muffins were SOOOO GOOD ! I LOVE them !!! Even my husband, who does not like muffins and eats gluten, loved these muffins and told me to make them often! I will give you Amanda's recipe (which she graciously gave me permission to share) and my adaption as well ... Choose one or the other, mix and match or adapt to your own special needs ... I'm sure you will be as delighted with the result as I was. Not only are these muffins delicious, they are as healthy and nourishing as you make them and a go-anywhere snack. Just a thought -- if you make your own changes and are happy with the result, how about sharing your recipe here in the comment section ... Let's see how many variations we can come up with! Preheat oven to 400 degrees F. Coat a 12-cup muffin pan with cooking spray. In a large bowl, whisk together flours, xylitol, baking soda, baking powder, spices and salt until there are no lumps. Stir in oats, flax, and raisins. Add oil, egg, milk, carrots and banana and stir until blended. Fill each muffin cup with 1/4 cup batter , ( I use large ice-cream scoop). 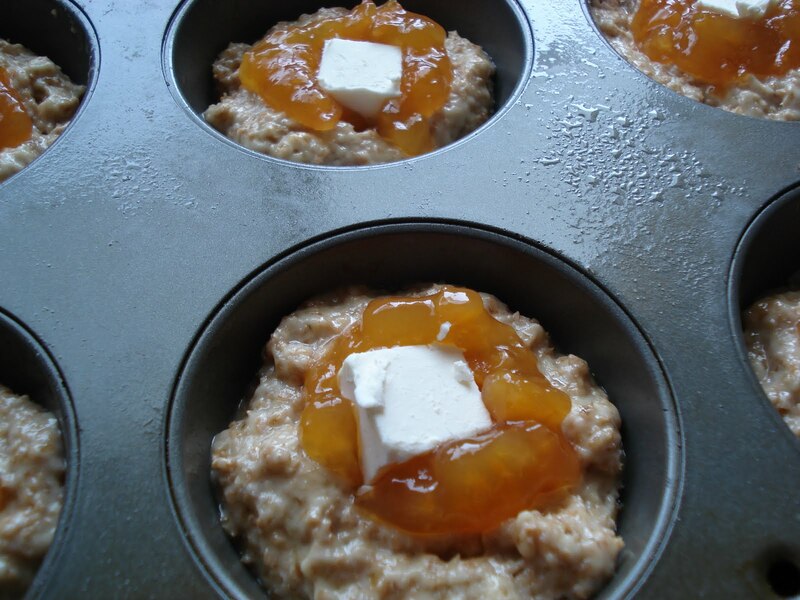 Bake until a toothpick inserted in center of a muffin come out clean, 23-25 minutes. Serve muffins warm or a room temperature. (To store, keep in an airtight container, up to 3 days) Enjoy them as they are with a pat of butter or a dollop of cream cheese for a decadent treat! In blender put ripe bananas, oil, milk and eggs, and mix until smooth. Add sweetened dried cranberries and grated carrots. Bake at 400 degrees F for about 20-25 minutes until nicely browned. Helpful tips - I cut down the time needed to mix up this recipe by pre-grating carrots and freezing them in 1/2 cup amounts in small zip-lock baggies. Also watch for grocery store specials on ripe bananas... Last time I got a bag of 24 bananas for 99 cents! Not one of them was overripe or bad. I put them -with peel on - in a plastic bag in the freezer and they are perfect to pull out when a recipe calls for bananas. It takes only a few minutes to thaw them enough to allow easy peeling and pre-frozen bananas mash so nicely. This platz is quick and easy with very little fuss and whips up in no time. My mom makes us so much apple pie filling that I find all kinds of recipes to use it in, and this is one of my personal favorites. Mix all the ingredients together making coarse crumbs. Pat 1/2 of the crumbs down firmly in a 9x9 inch pan. Fill with a your favorite pie filling, fresh or frozen fruit, or jam if you prefer. Bake at 350 for 30-40 minutes and the crumbs on top are a golden brown color. That is how easy it is. 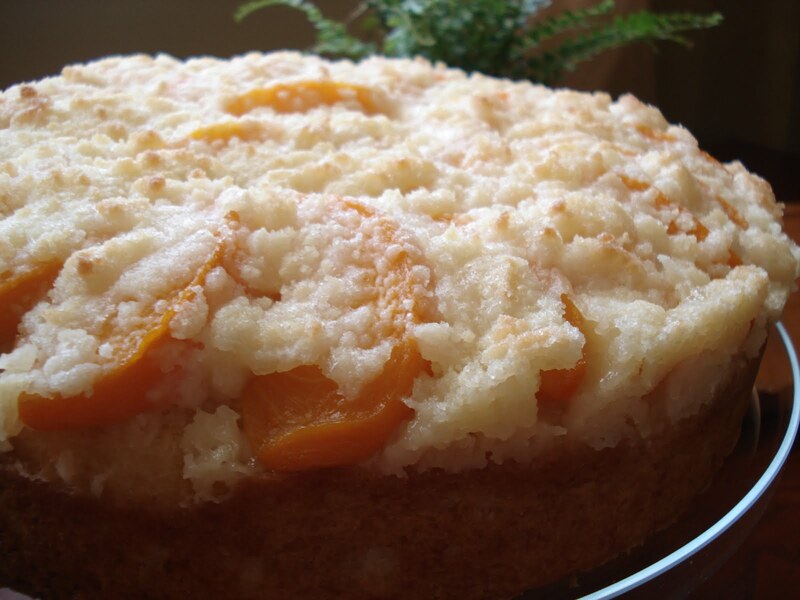 No fuss, and you have a nice treat for the fasba table or evening dessert with some friends. It is best to store this cake uncovered, otherwise the crumbs tend to get soggy. I have never frozen this either, this is the kind of thing, I prefer freshly made, but am certain that it could be frozen. Just thaw it without being covered, again so the crumbs hopefully stay crunchy. These ribs are a great side to any BBQ, especially with Father's Day coming up this Sunday. It may be that the dad in your life loves ribs. Pork ribs are pricey, but go on sale quite often and freeze well. Bake spare ribs at 350° F in covered roaster for 1 1/2 hours. Drain fat. In a small pot, sauté onion, then add the rest of the ingredients and simmer 15 min. Pour over baked ribs and continue baking 1/2 - 3/4 hours, covered. 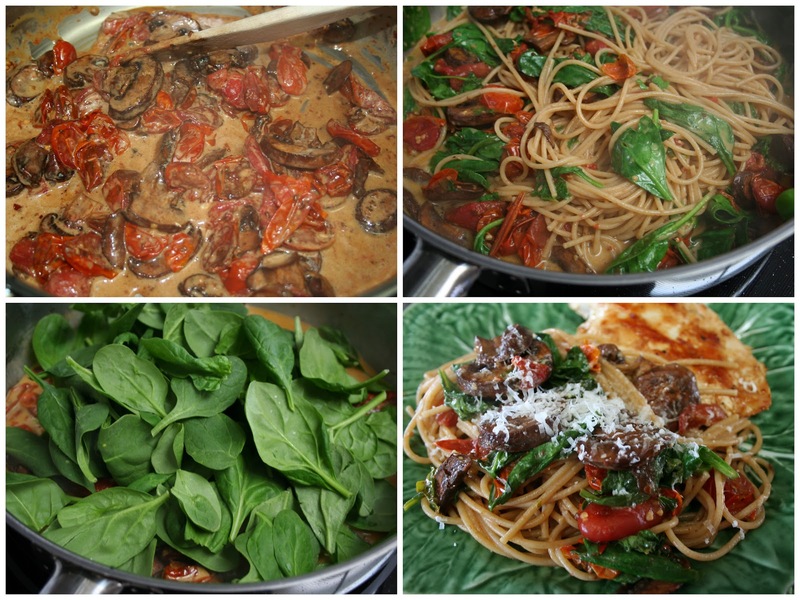 Serve with baked potatoes or pasta and a salad. 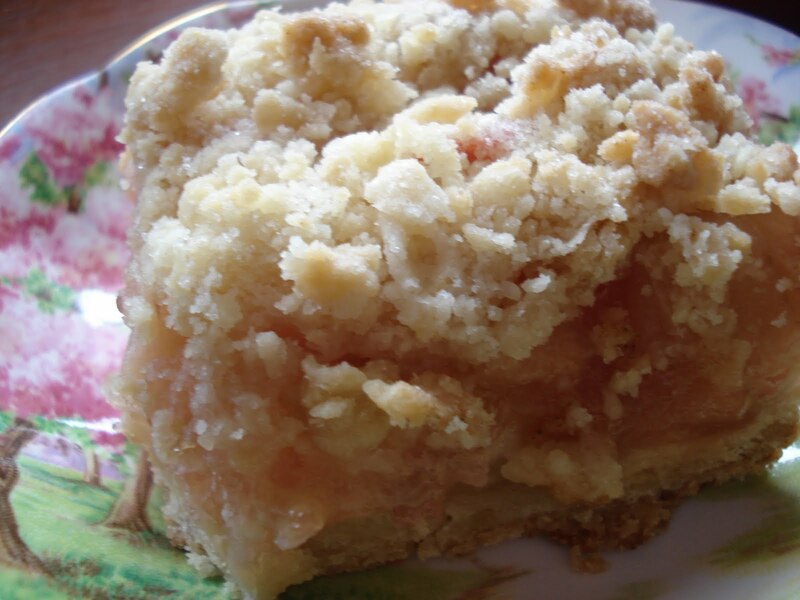 This is an easy apple cake recipe with a nice moist result. The most time consuming part of this recipe will be preparing the apples. Stir in next 5 ingredients and mix. Add next 3 ingredients and mix well. Let cool in pan 10 minutes before removing onto serving plate. When the cake has cooled completely dust it with powdered sugar. David spent his early years caring for sheep. We know that sheep are completely dependent on their shepherd. In David's daily walk with God, he learned that his Good Shepherd was sufficient for every need. He could say these words from his personal experience. I have been reminded over this past year once again, that even though I cannot see "all the days of my life," it doesn't matter. Do I look ahead and wonder what next week or next year look like? David said "ALL" the days, not just the bright days, but the dark ones too, not just the easy days ahead, but the difficult days also. He doesn't say months or years, but "days"__the "days of my life," each one of them. Someone paraphrased these words and said, "Goodness to supply every want, Mercy to forgive every sin; Goodness to provide, Mercy to pardon." It is wonderful that we can have the assurance and eternal confidence of knowing that His goodness and mercy are with us today. If it was good enough for David, it will be good enough for me and my family. I already know that I too can say that I have felt his shepherding strength in my own life during my recent year in a totally different way. And it will also be good enough for You! I'm hoping that you too, can join in, feel comforted, share and own the same promise for your life. "Shall follow ME all the days of MY life." One thousand four hundred and thirty posts ..
Two and a half Million ..plus ..Visitors . 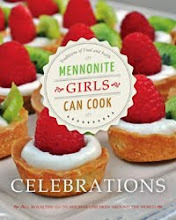 . .
One Cookbook . . .
Lots of encouragement . .
Lots of fun with our Facebook fans. It's time to say we appreciate you all. You are the reason we are sellings thousands of books . ..
helping to feed hungry kids in an orphanage in the Ukraine. We are giving away a book signed by all ten of the girls!! 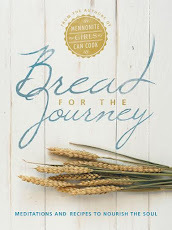 Leave a comment on today's post telling us which recipe on the blog or in the book is your favorite so far. If you leave another comment on facebook we'll enter your name again. Contest closes tonight at 11 PM Pacific Time. Contest is open to Canadian and US citizens. If you do not have a Profile which includes contact information or Facebook ..you must include contact information to qualify. Winner will be announced on Monday both here and on Facebook. The other night when I was in a fright of a hurry to get a dessert ready for a last minute call to have friends come watch the game with us. . .I did what I often do. ..made a rustic tart. The wonderful thing about making a rustic tart. .is that it is quick to bake since it is so thin and the name rustic implies that careful crimping of bottom and top crust is not needed. 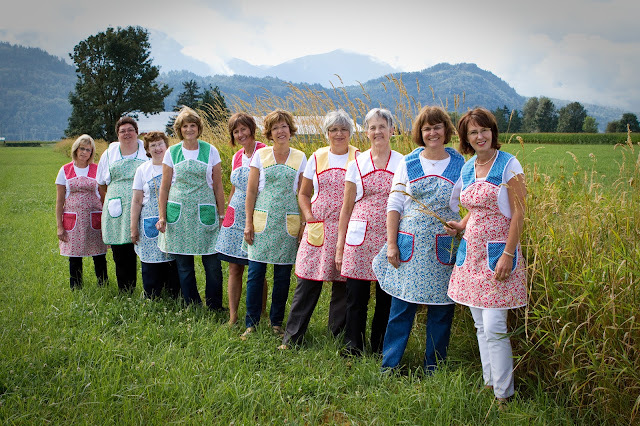 It is also very good for beginning pie bakers since you can see from just looking at the tart if the fruit is cooked. I simply take a disc of dough out of the freezer. ..and let it thaw while I prepare the fruit. Roll the dough into a large circle. Try to keep it somewhat round. The crust should be fairly thin. Transfer the pastry onto your rolling pin ..rolling it up and then onto a large cookie sheet. It is a good idea to put parchment paper on your cookie sheet for easy cleanup. Combine the rhubarb, sugar, and flour and spread evenly over the pastry dough but keep it an inch and half from the edge. Work your way around the crust, turn the edge over and pat flat encasing the edge of the rhubarb. Brush milk over the edge of the crust and sprinkle the crust edge with sugar. Cut a hole in the center of a piece of foil, to expose the rhubarb but cover the crust and place it over the tart to prevent the edges from browning too much. Remove once the rhubarb has cooked through and finish baking until the crust is brown. My tart took about 35 minutes to bake. 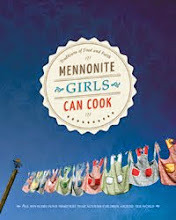 Be sure to come back to Mennonite Girls Can Cook tomorrow. and are going to give away a signed copy of our book!! Here is how you can take one can of crab and make it into a light luncheon for the ladies. Add a green salad and some homemade tartar sauce and you will have an elegant meal that is sure to impress. By the way – it’s also a sure way to satisfy a hungry husband. * Panko or Japanese bread crumbs can be found with the regular breadcrumbs in the grocery store. They are coarser and crispier than regular bread crumbs. Mix Tartar sauce ingredients in a bowl and refrigerate until serving. For Crab cakes, mix first 9 ingredients together in a bowl. Add crabmeat and mix gently with a fork until crab is well distributed. Working with one generous tablespoon full at a time, form the crab mixture into 3-4 inch patties about 1/2 inch thick. Dredge each crab cake on both sides in the 2 tablespoons of panko crumbs. Preheat oil at medium heat in a skillet. Fry crab cakes until golden brown on each side, flipping each only once. Serve immediately with homemade tartar sauce and lemon wedge. My Mom cooked this moos (we pronounce it mouse) in spring as soon as the sorrel would be ready to cut. And the wonderful thing was that sorrel grew fast and it would soon be ready for another cutting. 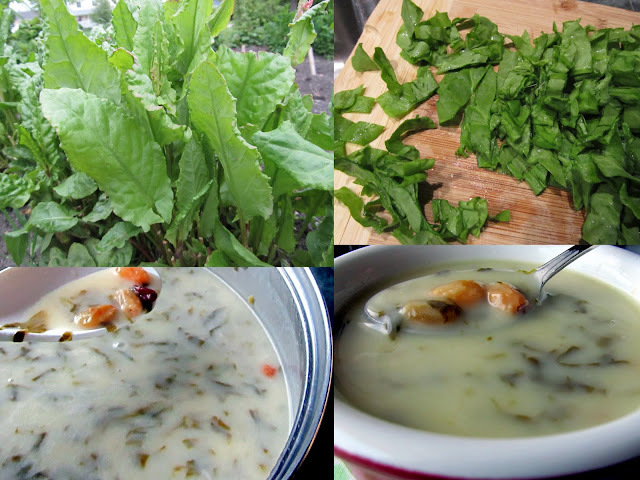 She would alternate between cooking moos or summa borsht, sorrel is used for both. Either one tastes wonderful, the moos is especially delicious paired with something savory. My sister Norma, asked Mom for the recipe and of course Mom didn't have a written recipe so one day Mom cooked the moos and my sister measured the ingredients as Mom threw them in the pot. I am so glad she did. Now I have my own row of sorrel plants in the garden and since they are a perennial they come up year after year and I get many cuttings all summer long. I freeze the extra to use in winter. Boil water and raisins together for 10 minutes. Add chopped sorrel leaves and bring to a rolling boil. Stir in cornstarch and milk which have been whisked together. Add cream and bring mixture to a rolling boil. You can eat it hot or cold, I like it both ways. My parents were born in the area of Southern Russia between the Black and Caspian Seas and then with their families escaped into Persia which is now Iran. Lamb was part of their regular diet. 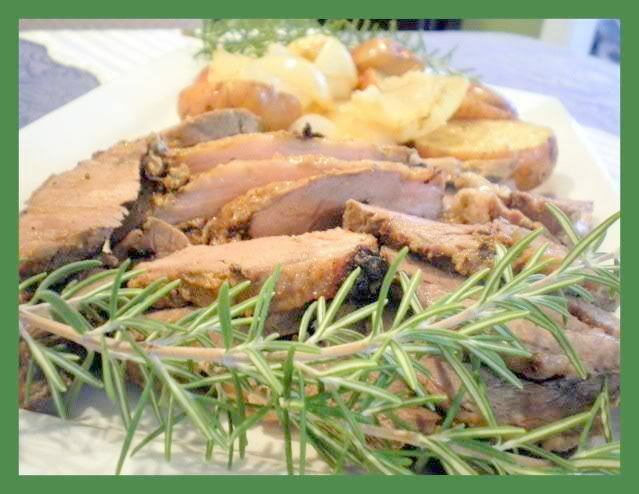 This is a wonderful way to cook lamb. I hope you enjoy it as much as we do. You can ask your butcher to bone and butterfly your leg of lamb. If there is a lot of fat you can trim some of the fat. 1 leg of lamb (4-6 pounds) boned and butterflied. In food processor add the salt, rosemary, garlic, and process as fine as possible. Add the mustard, balsamic vinegar, and lemon juice and process for a minute longer. Place lamb on baking rack fat side up and spread the processed mixture over the fat side of the lamb. In the meantime wash and cut 4 red potatoes (or any potatoes you desire) in half lengthwise. Place the potatoes and the onion in the baking dish, sprinkle with Olive oil and toss the onions and potatoes so they are coated nicely. Place the rack with the lamb over the vegetables. This method of roasting will give the vegetables nice seasoning from the drippings off the roast. Roast the lamb at 450 degrees for 20 minutes. Turn the lamb over carefully and roast an additional 20 minutes. Let the roast stand for 15 minutes and then slice on the grain and serve. 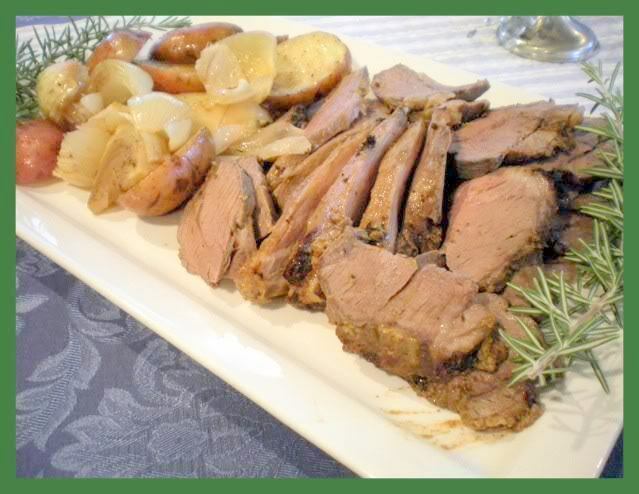 If you use a 6 pound leg of lamb add more potatoes to serve more people. Team Spirit..that's what we've been hearing a lot about for the last while. Our province has an NHL team again. There is a lot of enthusiasm and a whole lot of celebrating happening. To perform as a team you need team spirit. You also need a captain to guide the team in order to bring out the best in each player. It is the same in the Christian walk..we need to be enthusiastic and work together as a team to further the kingdom of God. Our captain is Jesus Christ and we look to Him for guidance and to bring out the best in each one of us. Sometimes we want to fly solo but we need to remember that working as a team brings more strength to what we want to achieve and then more is accomplished. 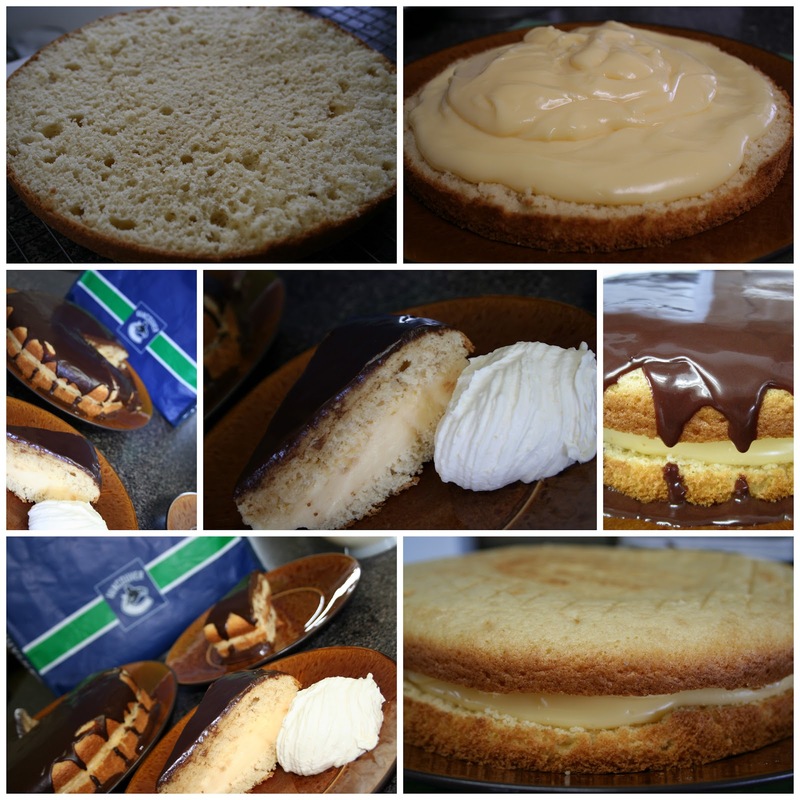 We have had a lot of 'game day foods' around here lately with the Vancouver Canucks looking for their first ever Stanley Cup title. Here's a hearty hot taco dip that pairs up perfectly with a hockey game...or anything else you may be watching these days. Combine refried beans with 1/4 cup salsa. Spread evenly over bottom of oven-proof dish (about 12" round or 9" x 12"). Brown the beef. Drain off excess fat and stir in the taco seasoning mix and 3/4 cup of salsa. Heat through. Spread the meat mixture over the bean mixture. Sprinkle with a layer of peppers and chopped tomatoes. Cover with a layer of shredded cheese. Bake at 350° F for about 25 minutes (or until bubbly and heated through). 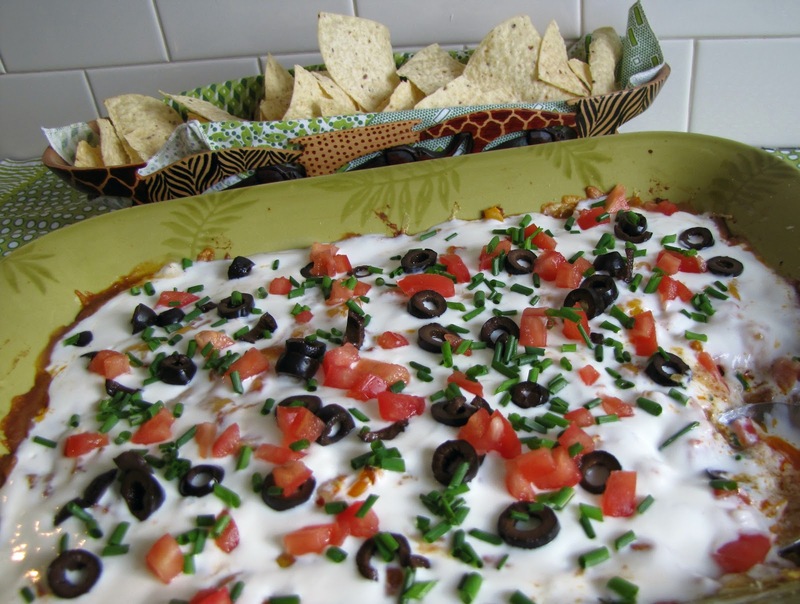 Just prior to serving, spread sour cream over the dish and garnish with chopped green onions, olives and tomatoes. Scoop onto plates and eat with warm taco chips. Tip ~ Place taco chips in a single layer on a cookie sheet and heat at 350° F for 5 minutes. Before the game is over...you will be licking the bottom of the dish. Enjoy! The burgers were ready for the grill when I realized I had no barbecue sauce. and handed it over to my husband who was doing the barbecuing. The liquid smoke and molasses added the flavour I was looking for. to share with you.....cause that's how we do it here at MGCC. Combine all ingredients together in a glass jar and stir well. Keeps well in the fridge for up to a month. This cake base is such a dense and moist cake that is good to use for all kinds of things, like coffee cake, or even with strawberries and whipped cream. Today the recipe will feature it with peaches on top, and a streusel crumb topping. Beat in eggs one at a time until light and well mixed. Stir the flour mixture into the egg mixture alternately with the sour cream, ending with sour cream. Pour the batter into a 10 spring form pan or 9-13 if you don't have a spring form. Add peaches in a pinwheel design or what ever you choose, it hides under the crumbs anyway. Top with the crumbs. If the crumbs get to brown for your liking you can cover them with foil towards the end if needed. Bake at 350 for 60 minutes. Test the cake by poking a knife in the center and if the knife comes out clean it is done. The time may have to be adjusted if using a 9x13 pan. Enjoy warm with some whipped cream or ice cream or at room temperature.